There’s a rising spirit of rebellion in the air – and the whiff of repression – that seems very much like the sixties. The parallels were driven home when I visited the excellent ‘You Say You Want a Revolution?’ exhibition at the Victoria and Albert Museum. It examines how a range of cultural activities combined with political activism across the globe to try to bring about epochal change near fifty years ago, but also, tellingly, links those times to today. One aspect examined the resurgence of occult thinking during that time – as much a metaphor for spiritual transformation and advancement as it was magical thinking. A key part of this section was the tarot designed by conceptual artist Suzanne Treister, a redesign of the traditional tarot deck and one that echoes other historic re-imaginings, say Aleister Crowley’s Thoth tarot deck. 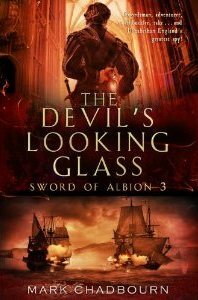 It’s a fantastic piece of work that fully understands the psychological dimension of the tarot and links it to a very contemporary drive for change. 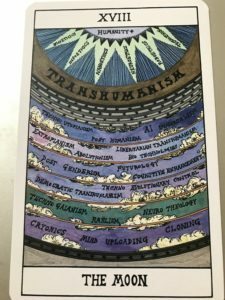 At the top you can see The Moon card from my own deck – the card for intuition, dreams and the unconscious – which here summon up transhumanism, techno-gaianism, futurology and more aspects of radical change thinking. 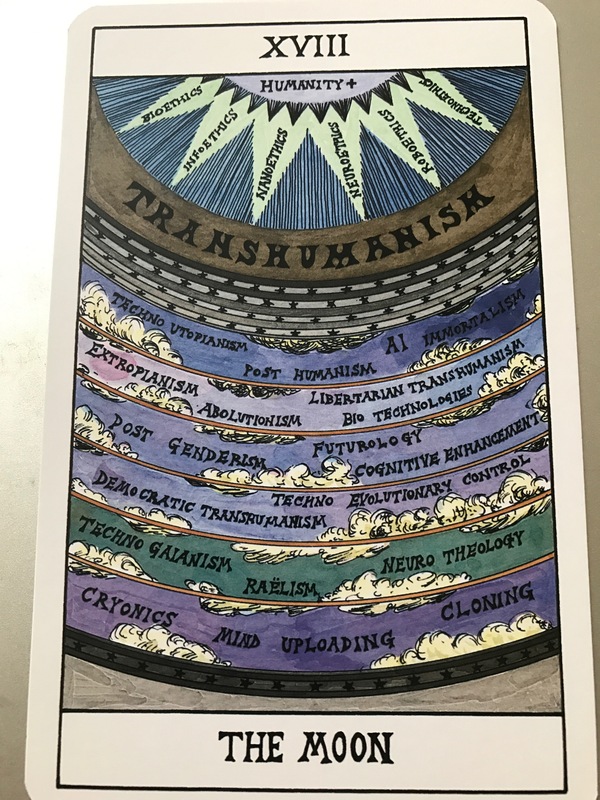 The Hexen 2.0 deck’s alchemical drawings pick up the interconnected histories of the computer and internet, cybernetics and counterculture, science fiction and futurism, ideas of the control society, as well as philosophical, literary and political responses to advancing technology. 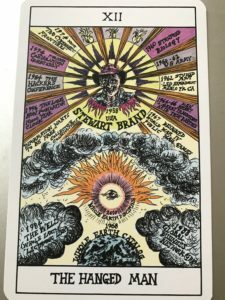 Here you can see Stewart Brand as The Hanged Man, creator of the Whole Earth Catalogue in the sixties and an associate of Ken Kesey and his Merry Pranksters in the tarot’s traditional archetype of the spiritual thinker who accepts sacrifice for the greater good. Treister recognises Brand’s key role in today’s digital culture. 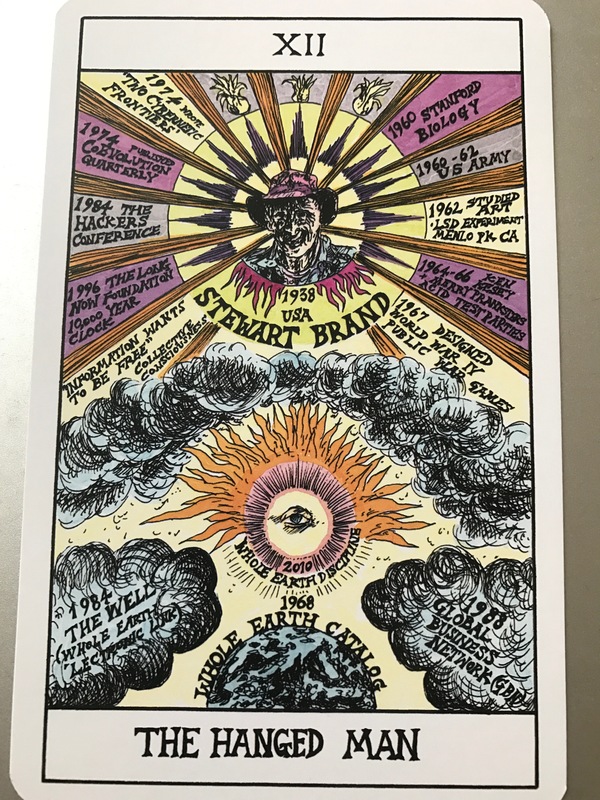 Other cards feature The Control Society as The Devil, Aldous Huxley as The Fool, the wisest card in the deck, Timothy Leary as The Magician, Ada Lovelace as the Queen of Chalices, Quantum Computing and A.I. as The Star, and many more fascinating pieces that are well worth reflection in the true tarot spirit. I’ve found this deck is actually influencing a lot of my thinking about this new world that we’re all moving into, and particularly the kind of response it needs. Hexen 2.0 is available online in the V & A shop.